The majority of homeowners and businesses prefer reverse cycle split air conditioner because it helps to regulate the temperature of the environment. What more, the device is equipped with an automatic shutoff switch to optimize the power of the compressor. 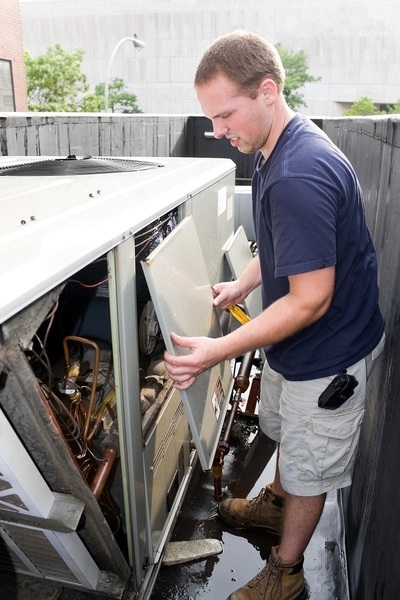 Generally, professionals are called to install the air conditioner. Do not install the unit in the close vicinity to the heat sources such as steam or flammable gases. In addition, the air conditioner should be kept away from high winds and dust. They get accumulated on the filter and obstruct the air flow. Install the unit at the location that is not exposed to the sunlight because the UV rays interfere the airflow. As a result, the cooling and warming of the ambiance might get affected. Make sure that the device is installed at a place that doesn’t increase the level of air discharge and operating sound level. In many cases, the noise is so high that it might end up disturbing the neighbors. Users should always leave free space around the air conditioner unit to ensure air flow and adequate breathing space for the device. In case, the outdoor unit is vibrating, place the rubber gaskets to impart balance to the installed system. To start with the installation process, indoor units are mounted onto the wall. However, do not place the air conditioner in the hallway or in the community area. The spot for placing the indoor unit needs to be located at a height of 2.5 m from the floor. Prior to installation, find the room that would house the air conditioner system. Use leveling technique to place the mounting plate in a balanced position. It should be evenly placed both from the horizontal and vertical perspective. In order to fix the plate, drill the holes into the walls. When the process is completed, insert the plastic anchors inside the hole to provide support to the plate. Thereafter, use the tapping screws to place the structure firmly onto the wall. With the help of holes drilled into the wall, carry out piping. Place a flexible flange through the hole in the wall to keep the pipes clean without any debris. The drain pipe is directed right towards the hole to avoid the leakage of the water. Users need to lift the front panel and remove the cover by opening the screws. Read the manual containing the circuit diagram and connect the cable wires accordingly. It should connect the outdoor and the indoor units in a seamless manner. The outdoor condenser should have a minimum of 12” space on the wall. Place a concrete pad on the ground. However, make sure that the condenser unit doesn’t touch the ground during snow season. While connecting cable from the outdoor unit to the indoor version, use cable clamp to fasten the connections. To complete installation remove the cap from the valves and the service port. A vacuum pump is connected to the hose port and switch on the vacuum, to filter out the dust as well as dirt. Select the low-pressure knob to turn off the vacuum and make sure to check all the valves. In addition, analyze the joints for leakage, if any. The pipe connecting the units creates a hole in the wall. Therefore, seal it to facilitate the seamless working of the conditioner. Thus, these are the tips to install the reverse cycle split system air conditioning.